Thursday’s Book Meme is inspired by Sailing Through Books. link up to your post on first impressions of a book cover in the form of a made-up synopsis … so basically judging a book by it’s cover yes. So I only read E&P this year, a few months ago. I had never read any of Rowell’s books before, and heard they were as quirky as John Green’s. For some reason I did not account that this may be as heartbreaking as John Green’s books. I thought this book, judging by the cover, was about two teens from my contemporary age. 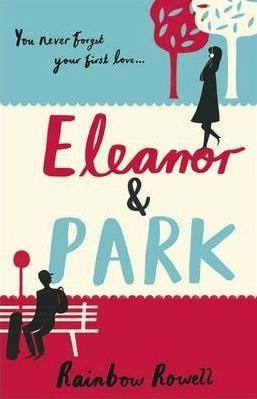 Eleanor was extremely uptight, skinny, and was obsessed with music. She probably had blonde hair and the perfect family life, and found Park walking in well… a park? Park, seen in this cover, was a skate boarder dude who probably was caught up with the pot heads of the group. He was laid back with no future plans scoped out. Maybe Park accidentally crashed into E as she had her headphones on? Opposites collide; the stars aline. They would have to break the ‘status quo’ to be together afterall. However, we know this is not the case at all. I was horrifyingly shocked by the angsty 200 page turner. I wept for days after finishing it. A great story with some cheesy lines, but really original! Be sure to subscribe to be notified for more posts for Book Meme Week.